A lost work of art linking India to the Italian Renaissance. A killer hiding behind a centuries-old ghost story. And a hidden treasure in Italy's macabre sculpture garden known as the Park of Monsters . . . When Jaya's old professor dies under eerie circumstances shortly after discovering manuscripts that point to a treasure in Italy's Park of Monsters, Jaya and her brother pick up the trail. From San Francisco to the heart of Italy, Jaya is haunted by a ghost story inexorably linked to the masterpieces of a long-dead artist and the deeds of a modern-day murderer. Untrustworthy colleagues, disappearing boyfriends, and old enemies-who can Jaya trust when the ghost wails? 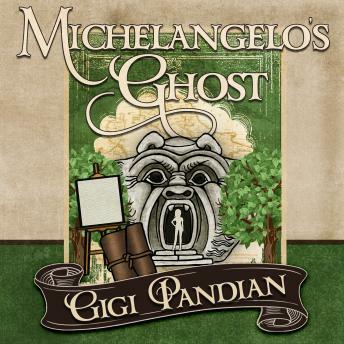 Filled with the unexpected twists, vivid historical details, and cross-cultural connections Gigi Pandian is known for, Michelangelo's Ghost is the most fast-paced and spellbinding Jaya Jones novel to date.